“Painful cost-cutting measures included 381 layoffs last year, which shattered morale at the island campus and may have driven off some highly regarded staff and faculty members.”This move hit particularly close to home. A solution isn’t very clearcut either. I have compassion, but there’s got to be limits at some point. There’s only so much UTMB can do. This problem is bigger than them. Heck…it’s bigger than Texas! Turning away undocumented cancer patients undoubtedly would pull the oldest medical school west of the Mississippi into a fierce contemporary debate about the legality and fairness of treating undocumented immigrants with tax dollars when millions of uninsured legal residents can’t afford health care. It also will force the institution to face thorny questions about simple compassion and the limits of a physician’s duty to treat the ailing. “Certainly it’s not a decision we’re taking lightly,” said Karen Sexton, vice president and CEO of hospitals and clinics at the medical branch. Federal agents who track down fugitive illegal immigrants arrested more than 30,000 people nationally in fiscal year 2007, nearly double the previous year, officials said Tuesday. . . . There were more than 30,408 arrests nationally in fiscal 2007, which ended Sept. 30, compared to 15,462 last year, ICE said. 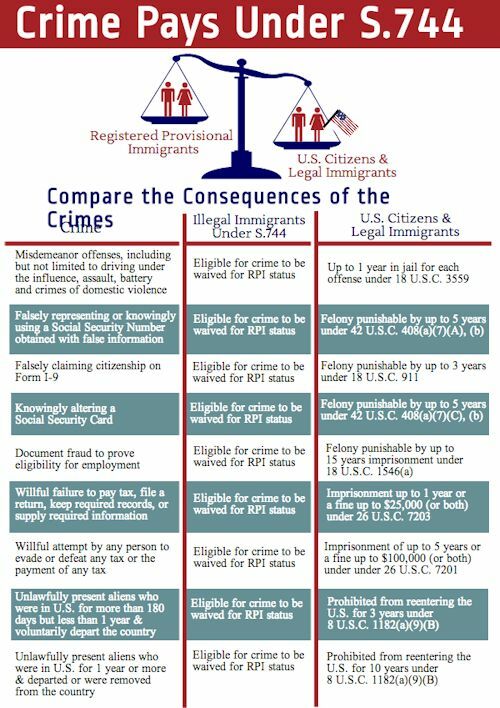 The bad news is that at least half of the 10.3 million immigrants who have arrived since 2000 are illegal (about 5.6 million). That’s an average of 800,000 illegals per year. Thus ICE is capturing less than 4 percent of the criminals coming into our country each year.